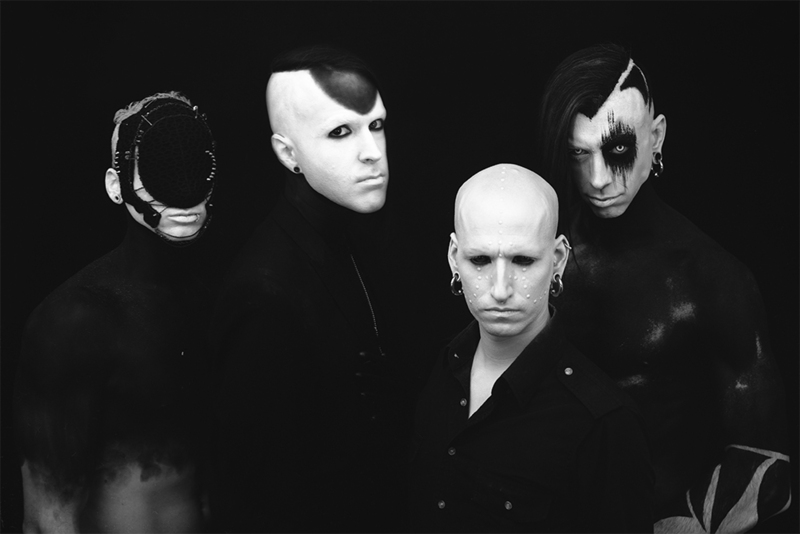 Experience the butterfly effect induced by this talented Canadian band with their electrifying fusion of Industrial Metal and Rock. If you’re an enthusiast for the unorthodox and industrialized music engendered by iconic bands such as Nine Inch Nails, Rammstein and Combichrist, who are always reinventing themselves and never go with the flow, you should definitely take a shot at the multilayered loudness crafted by Canadian Industrial Rock/Metal act Projekt F. Hailing from the city of Montreal, Quebec, the band was formed back in 2006 by lead singer and main composer Jonh M. Miller, inspired by the Industrial Rock and Metal scene of the 90’s, and since then they have been on a roll releasing their first EP named 0000 in 2009, the full-length album Skins in 2013 and the EP Under The Skin in 2014, also sharing the stage with names like Angelspit and Motionless In White and playing alongside Combichrist at the biggest industrial music festival in Canada, Kinetik Festival, in 2012. Not only that, they also had the opportunity to perform the song “Room 13” in a TV pilot called Cause and Effect, and the song “Oophorectomy” is also in a short movie called Purple Love, featured at the 2013 Cannes Festival. Add to that their looks, blending traditional Black Metal corpse painting with a futuristic concept, and it’s easy to understand how they’re capable of blur the line between reality and imagination in a truly compelling way with their work. 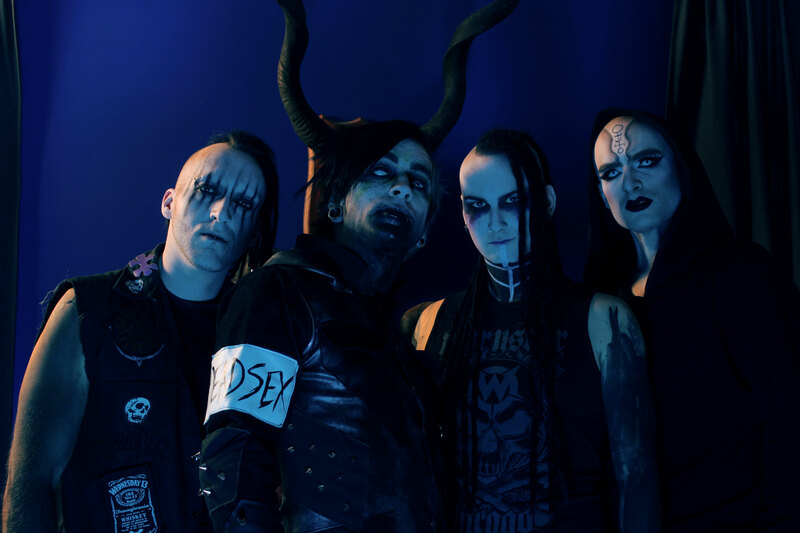 Now in 2016, the band chose to face an even darker path with the release of their brand new EP entitled The Butterfly Effect, a direct sequel to their previous conceptual effort Skins and another solid step in their rising career. The distorted and resonant bass lines by William Hicks create a wicked ambience before drums enter the music in the experimental intro named The Butterfly Effect, building the aura for Tongue, a powerful composition that proves to all metalheads that Industrial Metal can be as heavy as hell when a band wants to. Moreover, the Trent Reznor-like vocals by Jonh are full of melancholy and match flawlessly with the song’s metallic instrumental, not to mention his lunatic screams during the chorus. In other words, this is indeed the perfect theme song for an obscure cult movie, just like what already happened with two other songs by Projekt F as mentioned in this review. Their sonic production line continues to smash our ears in the electrifying Cut Your Wings, where drummer Fred Linx showcases his ability to sound robotic and organic at the same time. This is the type of composition tailored to make the audience jump up and down with the band, with the maniacal growls by Jonh elevating even more the song’s impact. 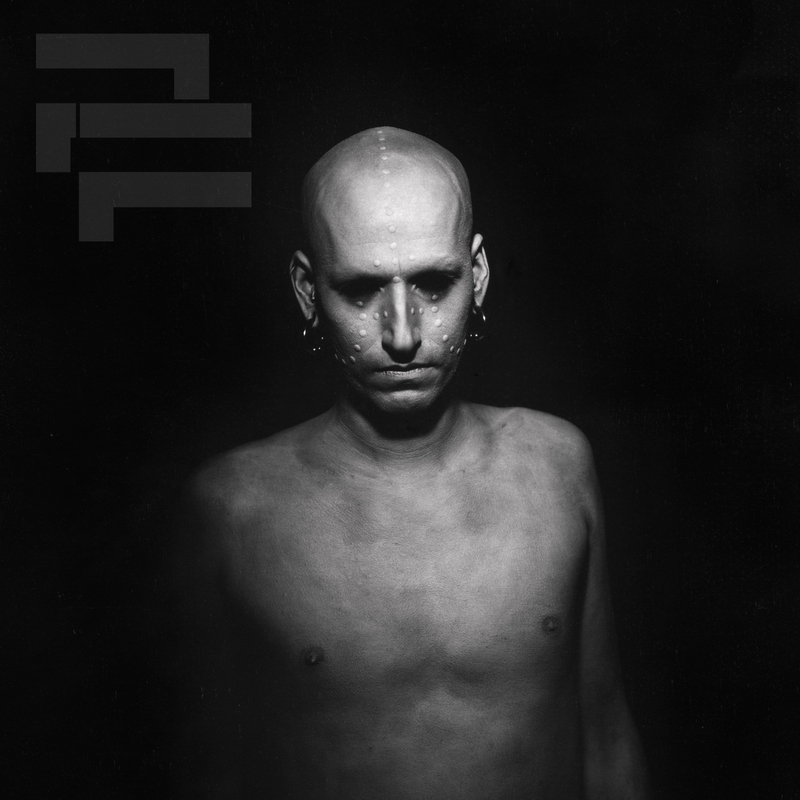 In Unbegun, another disturbing tune where Projekt F offer their potent Industrial Metal with hints of Sludge Metal, the guitar riffs by Simon Sayz will pierce your brain and make you bleed so heavy they are. In addition, although it features more electronic noises in the background than the other tracks, it’s unarguably a neck-breaking tune with extremely dark lyrics that will please even the most diehard fan of Death Metal or even Black Metal. The acoustic and low-tuned track cryptically entitled 03:47:09:08:1945 works as a demented intro to Fat Man, a brutal Heavy Metal hymn with an interesting technological aura. Jonh and Simon have insanely good performances throughout the entire song, sounding as if Nine Inch Nails decided to get darker, heavier and more demonic, therefore displaying no mercy for our necks once again. And last but not least, we have the dark aria When the Angel Fell From the Sky (it looks like a song name Judas Priest would surely use) offering the listener some contemplative piano notes, atmospheric passages and a final narration, concluding the story presented in the EP the quaintest way you can think of. In chaos theory, the butterfly effect is the sensitive dependence on initial conditions in which a small change in one state of a deterministic nonlinear system can result in large differences in a later state. In music, that’s the exact outcome these talented Canadian metallers want to provoke in the metal scene, and in case you want to join them in this bizarre quest you can go visit their Facebook page for more details and news on the band, enjoy more of their music at their YouTube channel, SoundCloud and ReverbNation, and purchase The Butterfly Effect on iTunes or at the band’s BandCamp page. Best moments of the album: Cut Your Wings and Fat Man.